When you live your life with a “Boom Shaka-laka-laka” kind of vibe then like ‘Sly & The Family Stone’ the enthusiasm of taking a people higher is what you radiate. When the world of music creates links beyond the boundaries of song, it opens up a universe of innumerable possibilities. This is the Mission & Message of Mr Batiste, as he embarks on taking his work to unparalleled heights, having now reached the 51 year mark we can but wait and see what projects and new interesting ventures he has in-store. Music united Mr Damon J Batiste with Africa and being born a musician and an African American producer, member of the Batiste Brothers Band, event organiser and globe trotter all the way from New Orleans. He has been greatly inspired also by the legacy of Nelson Mandela, which landed him in South Africa. These elements gave birth to an idea and a huge interest in sharing with the world the cultural learning found in the connection between the United States of America and Africa. These travels are what gave birth to the New Orleans South Africa Connection INC, thus NOSACONN was formed. Damon is the President and founder of NOSACONN, a non-profit organisation which was established in 1998. The organisation focuses on promoting music, art, culture, film, trade, and arts in education for economic development and tourism between the USA and Africa. Making good use of business, arts and government resources to build and grow communities through a cultural exchange programme such as the Arts Music PM Programme. Taking stock of the vast countries visited by Damon, a notable connection with the United States and France has also proven that tourism is one of the greatest tools any nation could make use of, NOSACONNs’ partnership with the US Embassy in France is aimed at integrating education with the Arts. Music is a very powerful tool in many ways and in that field NOSACONN has produced outdoor concerts and educational workshops, hosting also empowerment seminars, business expositions, and youth enhancement programs. Our collaborators are honoured to have made connections with Mr Damon Batiste and NOSACONN, as we believe that music is the coagulating ingredient to life, turning the mundane into a spirited and unique cultural experience. Being involved with ESSENCE Festival, New Orleans Jazz & Heritage Festival and having rubbed shoulders with the likes of the late great Hugh Masekela and Stevie Wonder, to mention a few, shows the nature of someone who is well rounded and can be dubbed with words uttered by Indeep with their song titled “Last Night a DJ saved my life”. 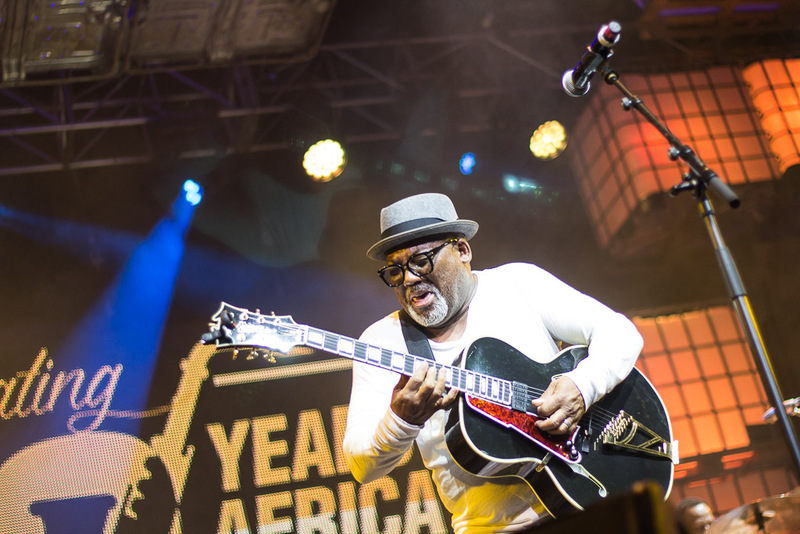 Its jazz season all around and festivities are abound, the Cape Town International Jazz Festival also regarded as Africa’s Grandest Gathering just celebrated 20 years of memorable moments over the weekend of the 29th March 2019. Next, we go abroad to the New Orleans Jazz & Heritage Festival which now enters its 50th year anniversary. Due to kick off on the 25th of April 2019 the festival is set to spark unforgettable celebrations with a line-up of jazz aficionados including luminaries Herbie Hancock, Al Green, Gregory Porter and Sanatana to name but only a few. 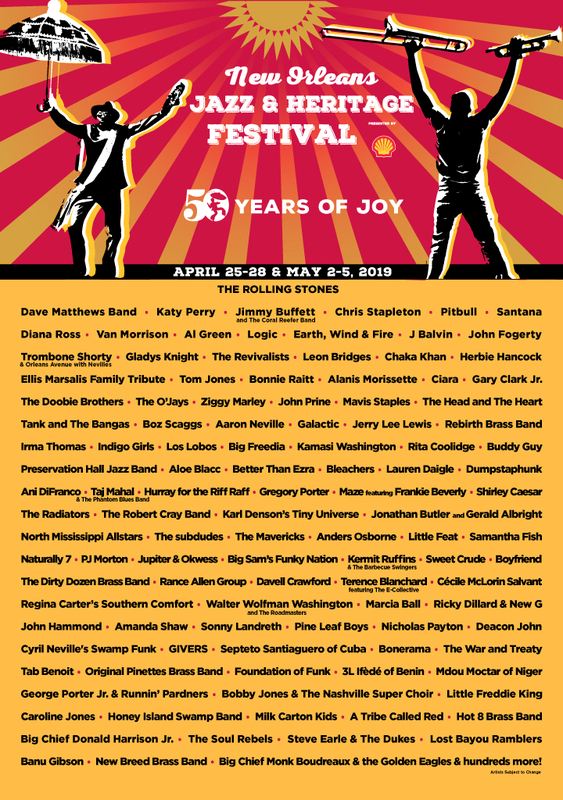 Soul icons Diana Ross, Gladys Knight, Earth Wind and Fire and The O’Jays will also be serenading festival stages with their evergreen sing-alongs, while new school cats Trombone Shorty, Tank and The Bangas and Ziggy Marley will usher in new jazzy flavours. Patrons can also look forward to performances by the Batiste Brothers, including Damon Batiste and Russell Batiste whose performances at the New Orleans Jazz & Heritage Festival elude to a lifetime of music exchange by the Batiste Family as they have been the music engine through NOSACONN. They welcome world-renowned South African jazz maestro Jonathan Butler alongside Gerald Albright, Pride of Zulu as well as the Crocodile Gumboot Dancers as representatives of the African diaspora one of jazz music’s most iconic stages, if ever one was looking for a glimpse of a cultural exchange, here it is courtesy of NOSACONN. Such life achievements are not to be looked down upon yet resemble a sensation that finding a cure means embarking on finding the root cause, in the words of music no one says it better than Fish Go Deep featuring Tracey K on their song “The Cure & The Cause”. As the world changes and takes new directions with music and technology there is still one person that has not shifted his tune that is Mr Batiste, he stays one and a quarter notes ahead of the game with cultural innovation. It goes without saying, MUSIC UNITES! Here is a painting of Damon Batiste at the Batiste Cultural Arts Academy. 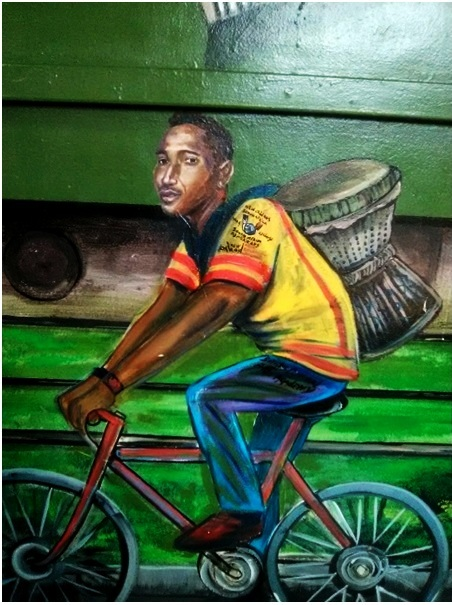 This image symbolises carrying the musical torch (the drum in this case) riding through life.